My OCs go on a gourmet tour of Japan. 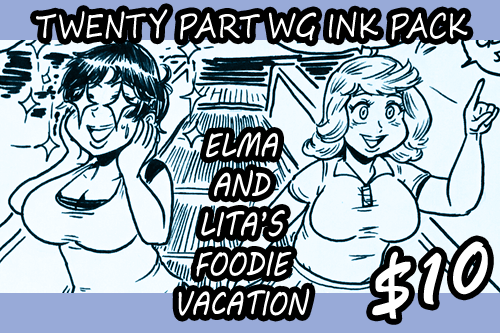 Elma and Lita are on vacation, and their goal is to eat all of the delicious food! This is a huge 20 part weight gain sequence featuring my two OCs Elma(light hair) and Lita(dark hair). All images in this sequence are drawn and inked traditionally.